There is a cold way of seeing that clips wings and stifles our words into faint echoes. But there is also a way of seeing where the eye can be like a mouth, swallowing color, taking in the entire world with one choking gulp. A rabbit has a 360º field of vision, so that it might gauge the distance between itself and its attacker. Humans have front-facing, binocular vision. It’s hard for us to look at where we have been and where we are going, impossible to see both the stars and the ground at once. 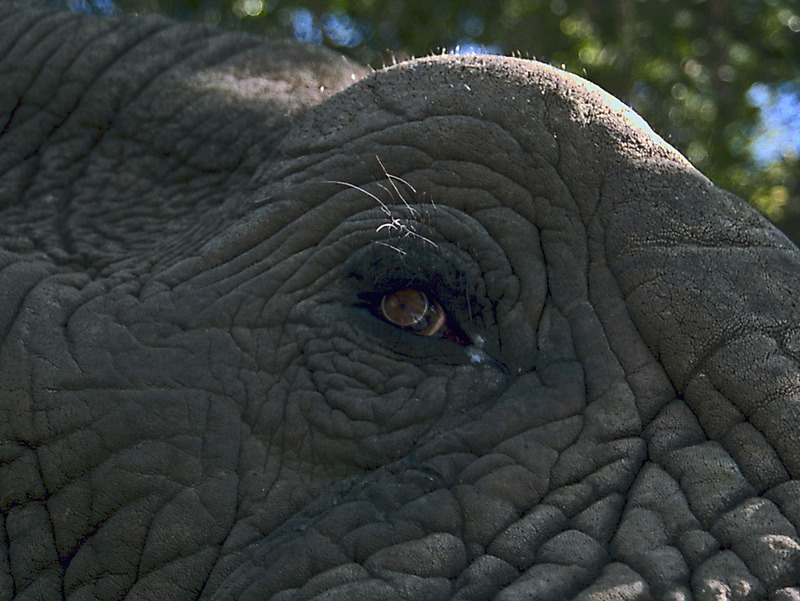 An elephant’s vision is front facing, binocular, but an elephant also has a large blind spot caused by its nose. Place both hands between your eyes in the manner of prayer and you will see what I mean. It is said that elephants will stare at a full moon; do they also see the stars? What would it be like to think without words and recognize shapes without names? There is a cave of light from our eye to our brain. But it is the corners of our eyes that perceive the most light; the corners of our minds where we begin to understand. it is amazing to see the dissection of each of these magnificent animals eyes. Evolved over such a long period of time. Reblogged this on Kat's Scribbles.